College Majors… more than preparing for a career; preparing students for the world! Students face the unending question of “What’s your major?” from the moment they consider attending college. It seems such a significant decision, as if they only have one chance to choose the right pathway that determines the rest of their life. As they eventually discover, selecting a major involves more than just planning for a career. It is often based on strengths and talents that students seek to develop. I frequently share with students that it is important to find an academic area they would truly love to study as a means of defining that pathway. The skills they develop through their studies in their major discipline, and by completing a Wheaton degree, will ensure they are prepared for the complex issues they will tackle in and outside the workplace. Recently, I had the opportunity to work with a graduate who was applying for law school. He spoke about his experience trying to convince his parents that a philosophy major was a perfect match for him. His parents had hopes of him pursuing a business or science program, something a bit more straightforward, yet he felt compelled to move in another direction. He was excited by the experience of viewing the world through a critical lens. Through studying philosophy, this student strengthened his intellectual ability, developed his communication skills for arguing various viewpoints, and learned how to independently manage information through the research and analysis process. He loved to learn and question the world. Now, as a law student beginning his program in the Fall of 2018, he takes that next step towards his ultimate goal. One could argue that the skills he developed through the philosophy major have indeed prepared him for a legal career, where he will apply research, analysis, communication and information management routinely in his work. This example is only one of many when considering the various skills students develop through majors in the liberal arts. English majors have the ability to communicate clearly in their writing, work well under deadlines and think creatively with the ideas they present, all essential skills for someone who might want to work in the corporate setting. A mathematics major is not limited to becoming a math teacher, but can use their quantitative, logic and systems-thinking skills to address environmental issues in the public setting through engineering efficient solutions to critical problems. Beyond these two, all majors in the arts, humanities, social science and natural science areas afford Wheaton students great opportunities to develop their unique talents and prepare them for future success. 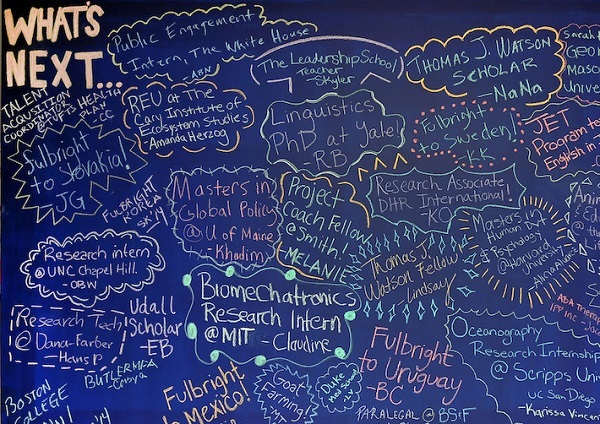 The skills students develop through their major, and their Wheaton education, ensure that they recognize the connections in the world and help them move towards progress and development in order to make this world a better place. They become contributing members of society in their own unique ways. Whether their pathways include further graduate education or a direct line to a career, Wheaton students will find themselves achieving their dreams and feeling confident they have developed the necessary skills to tackle future challenges.